Jewelry is one of the most intimate and personal purchases a person makes. Whether it's for themselves or a loved one, it has a lot to represent. A person will go through a mountain of clothing over a very short few years, but most jewelry is worn daily. It must go with everything. It has to feel good. Perfect pieces cause you to smile each and every time you put them on. It doesn't matter what the customer service representative likes (and we don't pay commission). What matters is the wearer- the buyer. The milestone that the ring, necklace, earrings, watch, or bracelet represents. If a picture is worth a thousand words, a love token made of jewelry is worth a million. 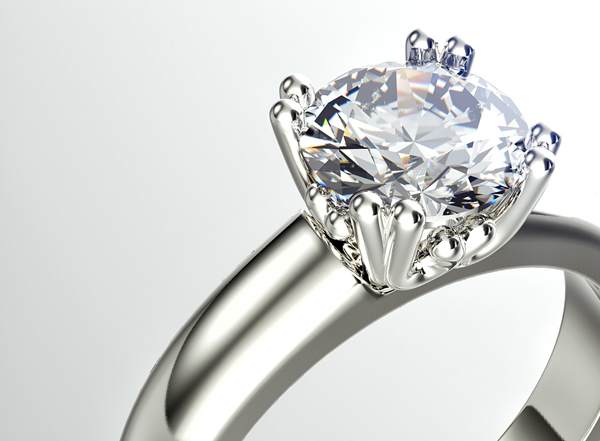 Our jewelry expert has decades of experience in stones and precious metals. We want you to know exactly what you are buying once you find that perfect something. Precious metals, precious stones, and diamonds have to be bought with confidence from a trustworthy establishment and you can count on us. Savvy shoppers look to us for wholesale jewelry pricing on everything from the most basic piece, to the more expensive larger purchases. We carry an eclectic mix of estate, antique, modern, deco, and traditional jewelry. We uniquely offer sizing and repair as well. Pistol Annie's has a relationship with the very fine Kluh Jewelers of Lacy, Washington. Their 4th generation jeweler offers us discount pricing while doing exceptional work. Often times, we are able to take several pieces of jewelry and make a whole new item utilizing different elements from each. We carry loose stones, as well as take stones from different rings and change them out so you can have the perfect look or center stone. Our store has many very, very happy customers who we have done this for. There is huge value in custom jewelry without the "custom" price. Come see us. Check out our selection and challenge our prices. You won't be disappointed. We also buy gold, diamonds, broken jewelry, and bullion. We pay top dollar and will make you the best offer we can each and every time. Selling your old unworn or broken items is great trading stock toward your new jewelry! !